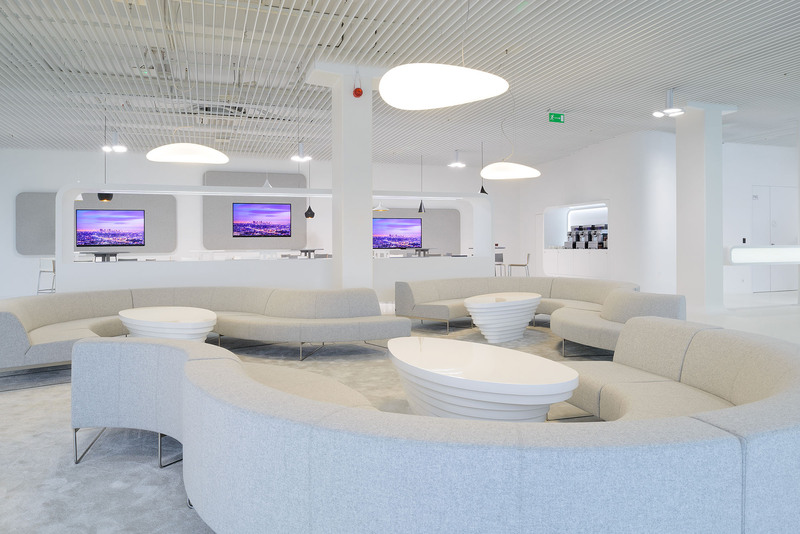 “GE Customer Experience Center” –an exhibition and conference space at GE Brilliant Factory in Bielsko-Biala. The main objective of the exhibition space is to present the products of GE grouped in thematic areas (Industrial Area, Commercial Area, Application Area) and at the same time familiarizing viewerswith additional information by means of multimedia installations. Various product groups and their issues are presented within a dedicated “islands” – annexes to the general exhibition space. Each area is contains a media kiosk equipped with a high- resolution overhead projector providing a picture on the elliptical walls made of translucent stretched material. The walls shall perform the function of screens on which projections are displayed. 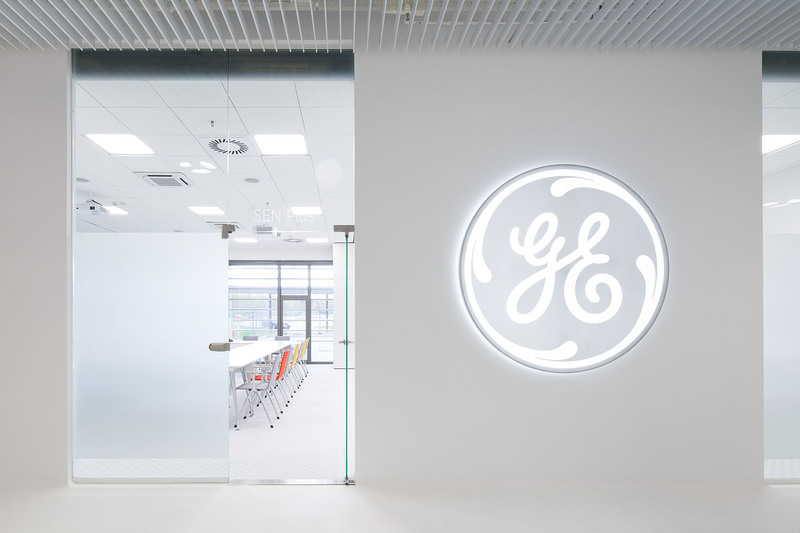 This space is designed to present products, achievements and scope of activities of GE in the energy industry – for customers around the world and for conference and training purposes. 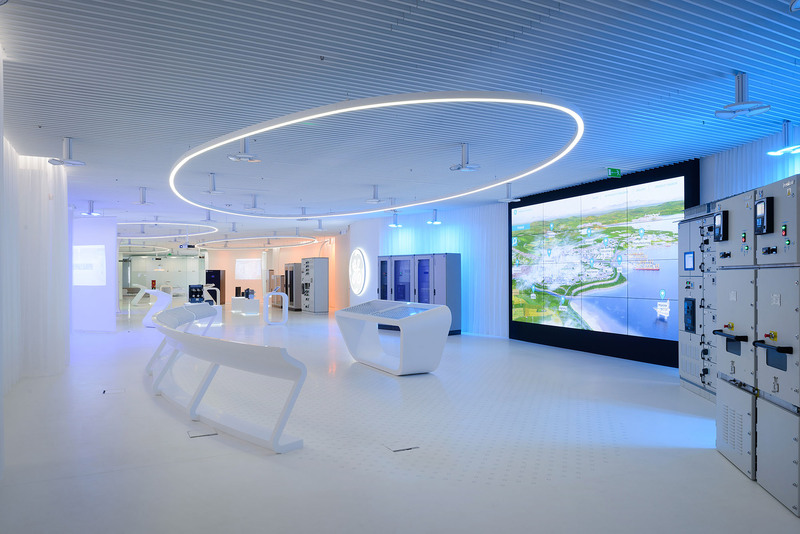 It is one of four GE experience centers of such type in the world, the only one dedicated to power industry. The project was completed according to the original author’s concept, that received the first prize in a closed competition organized by GE. The idea of CXC functional layout is to carry visitors from the exhibition part to the recreation area, and then to the conference rooms. The aesthetic concept of interior design is based on creating a bright, ethereal and “liquid” area which is the background for the products and events taking place in CXC. It is based on the effect of immersion the user in the “unreal”, abstract space, so it has a feeling of “floating, or being in the cloud. 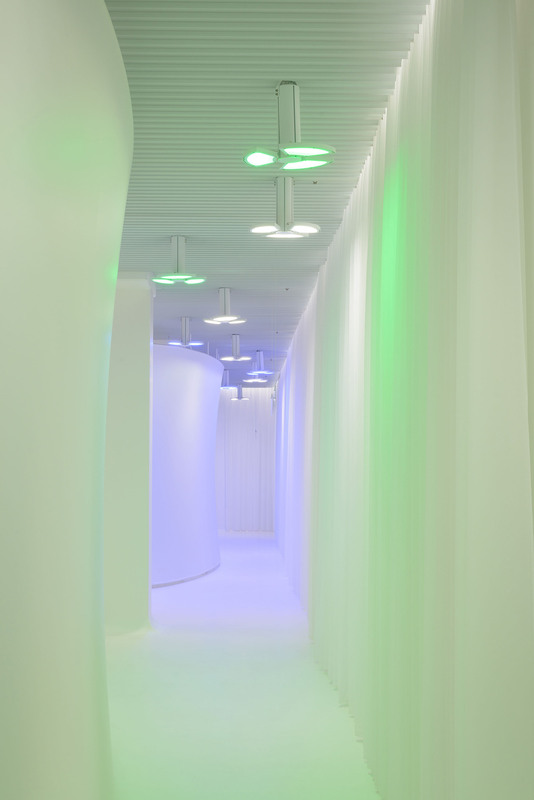 The effect of lightness and fluidity of the interior is achieved through consistent use of white colour and its intensification through the use of translucent materials, rounded shapes and variable diffused lighting. The impression of fluidity is enhanced by specially designed furniture and bases for exhibits, radiused edges of the walls and columns. The boundaries of the showroom are “softened” by using a backlit curtain hung along the walls. 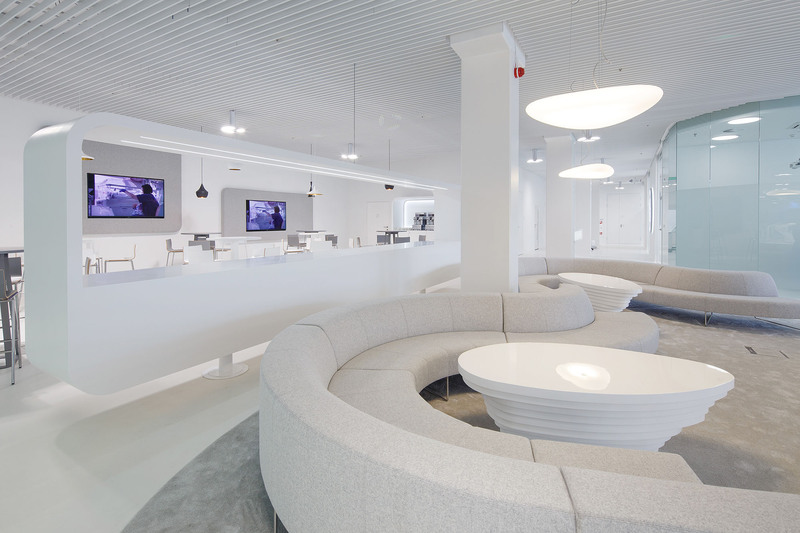 The recreation area is equipped with furniture of organic shapes – sofas and a coffee bar. In a similar way the conference rooms are designed – their bright decor is complemented with chairs upholstered in bright colours.